Improved off-farm income was reported by nearly 50% households with income sources changing from 11% to 66%. There is more spending on farming inputs, food and the home. Farmers’ knowledge increased with the usage of tools. They learnt about the complexities of movement of water and nutrients through the soil profile (see pic below). The twin questions of “when and how much to irrigate” are critical to the success of irrigated agriculture. “The Chameleon and FullStop Wetting Front Detector (WFD) are two of a suite of tools introduced to build literacy around soil water and solute monitoring among researchers, extension workers and farmers,” says ICRISAT scientist Dr Martin Moyo. 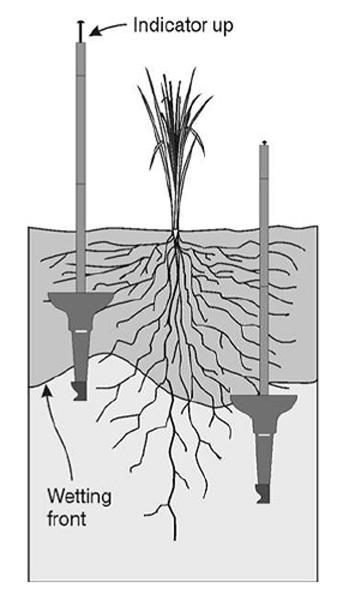 ‘Seeing’ what is happening in the root zone when the soil is irrigated. It was developed as a complimentary tool to the WFD to measure soil moisture. It consists of three or four sensors that are permanently installed at different depths in the soil. A portable handheld reader is connected to each group of sensors and displays the soil moisture as colored lights. Correctly interpret the Chameleon colors and take necessary action. For example, reducing irrigation frequency and duration when blue is recorded at all depths. The road from learning to positive outcomes. 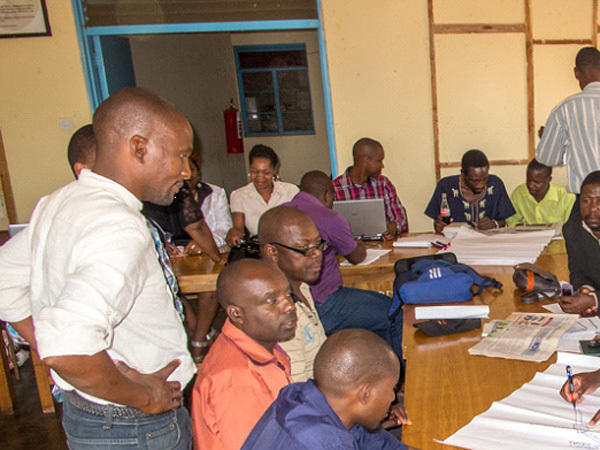 The AIP served as a catalyst, bringing farmers and related stakeholders in irrigation together into an informal network to develop their capacity to solve problems and/or innovate. Farmers could meet with input suppliers, crop buyers, extension officers and government officials. Together they were able to have an in-depth look at the constraints and opportunities and developed a set of actions to work towards a collective vision for individual schemes. The AIP-initiated activities have been diverse. Farmers have visited other irrigation schemes, which have inspired them to try out new, high-value crops such as groundnut and take up vegetable farming, especially garlic. 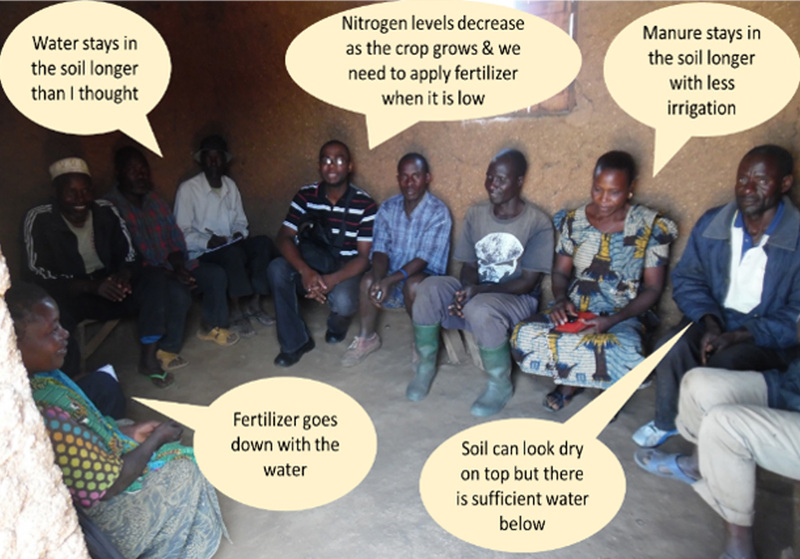 The above diagram shows the process of how learnings from the water monitoring tools lead to positive outcomes. These findings are from work funded since 2013 by the Australian Centre for International Agricultural Research (ACIAR) and the CGIAR Research Program on Water, Land and Ecosystems (WLE). The scientific findings of this study are being featured in a forthcoming special issue of the International Journal of Water Resources Development. 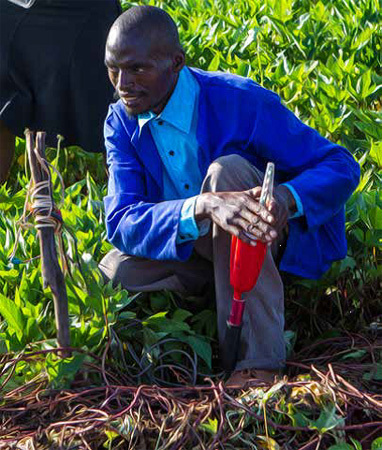 A second phase of this work focuses on how best to scale out these findings through the project “Transforming smallholder irrigation into profitable and self-sustaining systems in Southern Africa”. Funder: Australian Centre for International Agricultural Research, CGIAR Research Program on Water, Land and Ecosystems and CGIAR Fund Donors.